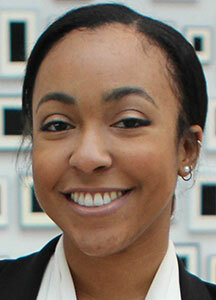 Erica Hilton earned her bachelor's degree from Johnson C. Smith University in communication arts. She attended American University to earn her master’s degree in public communication. While there she worked as a graduate research assistant researching social media usages and trends for marketing research. After completing her master’s degree, Hilton worked as the online activism manager for the Laborers’ International Union of North America managing its website and social media to promote activism within the labor movement. She also produced an online video series entitled ‘Renewing Lives’ highlighting the lives of union workers rebuilding the World Trade Center and those working on solar projects. As a doctoral candidate at Penn State, Hilton researches the media representation of gender, racial and ethnic groups and diversity issues within the public relations industry. She teaches undergraduate classes on techniques and skills in public relations and diversity in media. Outside of research and teaching, She served as a member of the Bellisario College of Communications’ Diversity Review Committee and led workshops on online branding.